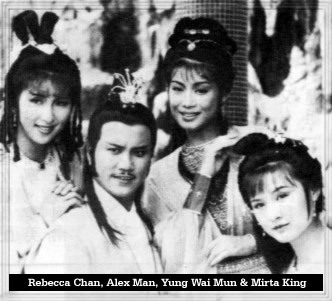 Alex Man Chi Leung - Luk Siu Fung aka The Four-Eyebrowed Swordsman. Rebecca Chan Sau Chue - Jing Jing, the holy virgin. Click here to read Ken Cheng's piece on Luk Siu Fung called "Luk Siu Fung In A Nutshell".